In the past week, the media has been abuzz with news of the German train supposedly discovered in a tunnel near Walbrzych, Poland, and the ground-penetrating radar images that appear to confirm the potentially invaluable find. Local legend has it that at the end of World War II, an armored train carrying gold and other treasures had left from the German city of Breslau (now Wroclaw, Poland) and was driven into a hillside tunnel near Walbrzych as the Russian army approached. The train has not been seen since. The train itself (if it even exists) has not been located yet – an undertaking that could take months – and already the discussions surrounded the fate of the (ostensible) “buried treasure” are heating up. Thus far, three camps have surfaced. Polish officials have said that any cargo found on the train is the property of the state treasury. However, Poland’s culture minister, Piotr Zuchowski, also added that valuables would be returned to the heirs of their former owners. Jewish organizations have of course been vocal, with Robert Singer, head of the World Jewish Congress, noting that “Polish Jewish survivors have unfortunately never been adequately compensated by Poland.” Because the train potentially contains property belonging to these heirs, opportunities for compensation and restitution are likely to emerge. Regardless, if a lost train is indeed found, the Polish state is all but guaranteed to face legal challenges from claimants, subjecting the rediscovered treasure to long and complex ownership disputes. Jessica Elgot, “Deathbed confession may have revealed location of ‘Nazi gold train,'” The Guardian. August 28. 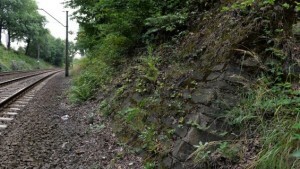 2015. http://www.theguardian.com/world/2015/aug/28/nazi-gold-train-deathbed-confession-may-have-revealed-location. Mark Franchetti, “Three-way fight for Nazi gold treasure,” The Australian Times. August 20, 2015. http://www.theaustralian.com.au/news/world/three-way-fight-for-nazi-gold-train-treasure/story .